Below is the second text–and the first single-authored one–to be published in the Postcolonialism and Religions series, edited by Joseph Duggan, founder of Postcolonial Networks, and J. Jayakiran Sebastian, Dean of Lutheran Theological Seminary at Philadelphia. 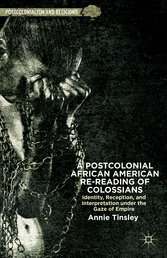 Annie Tinsley, A Postcolonial African American Re-reading of Colossians: Identity, Reception, and Interpretation under the Gaze of Empire, Postcolonialism and Religions Series (New York: Palgrave, 2013). A Postcolonial African American Re-reading of Colossians: Identity, Reception, and Interpretation under the Gaze of Empire examines the identities of two seemingly unrelated groups of people; the initial recipients of the letter and the enslaved African in the North American Diaspora. Both groups, although unrelated, share a common element. They are both considered erroneous in their interpretations of the gospel. They are labeled and summarily silenced. This work gives both a voice and determines from their identities their response to the gospel. Despite the lack of harsh labels given to the initial readers of Colossians by modern commentators, the author of the letter was guilty of error in that the letter lacked deference to their former beliefs and culture. The turn towards postcolonial hermeneutics has gathered apace in more recent times and this important book adds to this fine tradition. Tinsley has crafted an incisive and challenging text that brings African American experiences into a critical conversation with Colossians, giving voice to previously silenced communities that are situated behind and in front of the text. This is an impressive first and is a must read. – Anthony G. Reddie, Editor, Black Theology: An International Journal , Author, SCM Core Text: Black Theology. 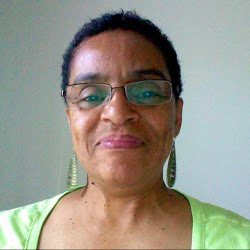 Annie Tinsley is Assistant Professor of New Testament at Shaw University Divinity School, USA.